Oliver Fletcher is a name to remember! 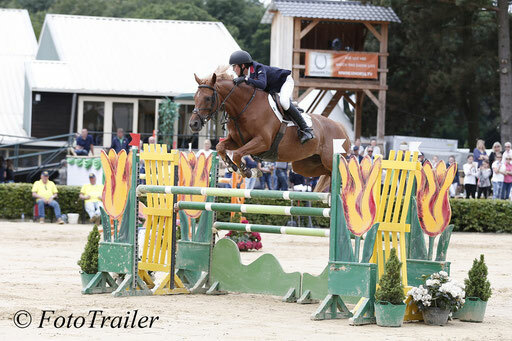 The British rider was very successful at the Dutch Youngster Festival 2017. 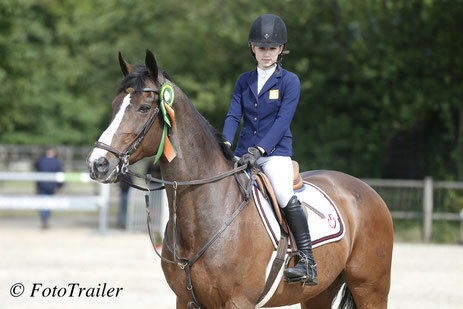 Today he won the Children Grand Prix at 1.30m level with Dahar (Quasimodo van de Molendreef x Voltaire). Runner-up was Lilli Collee from Germany with Barry Brown Escaille (Kashmir van 't Schuttershof), followed by the British Holly Truelove with Golly Girl. Best Dutch rider was Cejay Joosten on place 6 with Sagnol (Silvano). Winner of the 1.25m Small Tour Children was Lily Engelsman with Rusedski II (Darco), followed by Grand Prix winner Oliver Fletcher on Little Business. The 3rd prize went to Lena Binder with Imany van de Middelstede.